I’ve always been curious about the Tour de Merkala, identified on the Michelin 741 Sahara map (and left) on the Algeria-Morocco border, south of Foum el Hassan. 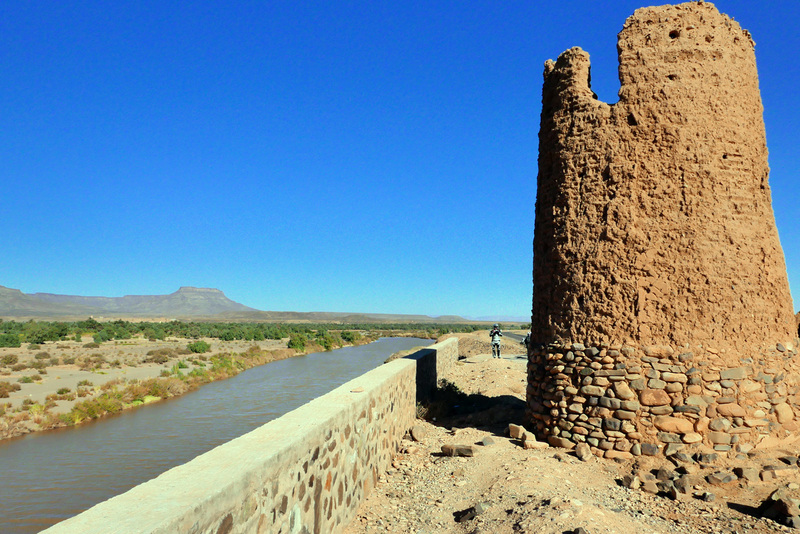 Was it some ancient caravanserai or watchtower, like the one right, alongside the Oued Draa north of Zagora, which guided caravans in along the 52-days road from Timbuktu? Or perhaps just a French observation post from the colonial era? No surprise that this time I searched, it was Yves Rhomer’s dishevelled but still encyclopaedic Sahara pages where the answer lay, and there’s more here. In the 1930s the French were still busy subduing tribal resistance in the southern mountains of Morocco in the region between Tata and Assa, and while there decided Tindouf far to the south needed occupation too. But between southern Morocco and Tindouf lay the Jebel Ouarkaziz which still serves at a natural barrier today between the two countries. 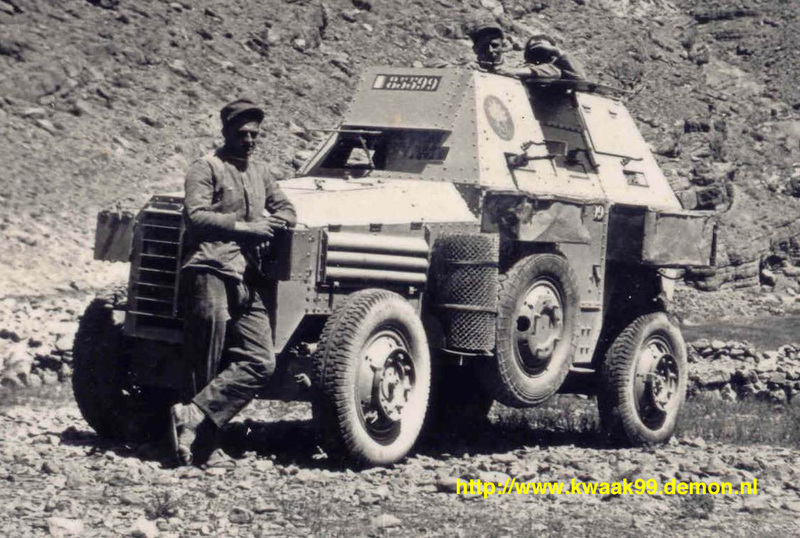 A column consisting of Berliet VUDB light armoured cars (right – note the big roll of chicken wire to use for sand boggings) set out from Akka and wound their way through the foums or gaps in the ranges until they came to the impenetrable cliff below Jebel Merkala. Here they spent a few days enlarging an old camel trail into a ramp to support their armoured cars, over two kilometres and 220m up the escarpment to the Hammada du Draa plateau on top. 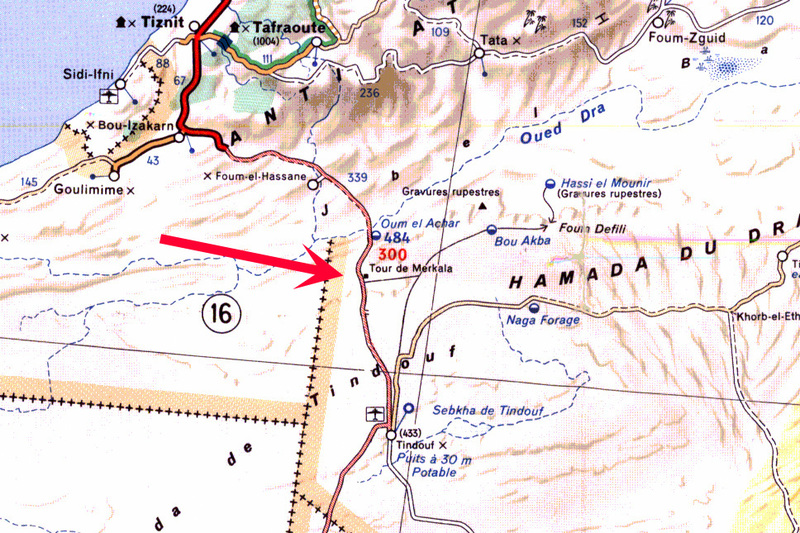 Once here the way to Tindouf was clear and a fort was established at Merkala. Even if there was a tower (unnecessary on top of a pass, you’d think), why they didn’t call it Fort or Bordj Merkala? Or Fort ‘Commanding-Officer’s-Name’, as was the custom at the time? 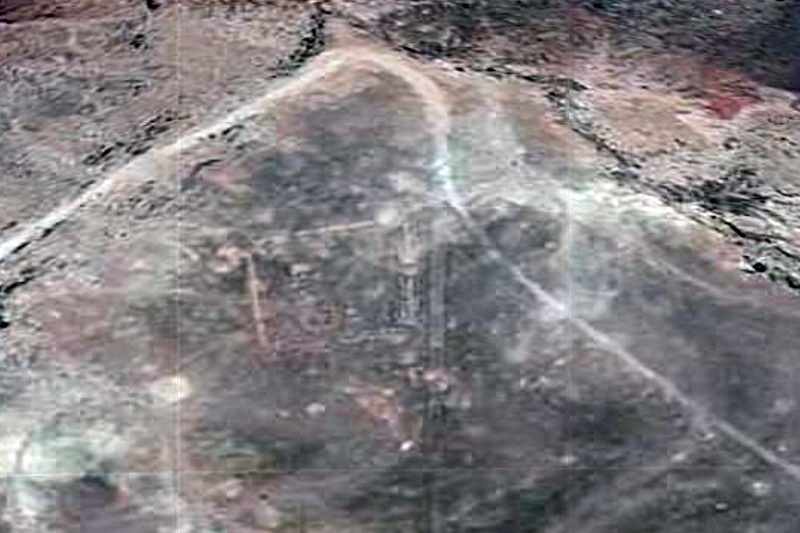 Many former French forts in Algeria – Fort Lapperine, Polignac or Flatters – became villages and even cities (respectively: Tamanrasset, IIlizi, Bordj Omar Driss). I’ve yet to find an old picture of the actual fort at Merkala and there’s nothing much to see on Google. But as is sometimes the case, Bing has better resolution and shows faint traces of skewed-rectangular fort-like foundations at the top of the pass (right), as well more modern ramparts pushed up nearby. Click the Flatters link above to see what a fort from this era may have looked like. Very soon this route was extended and improved to become part of the primary imperial N1 highway from Morocco into the AOF French colonies to the south, running from Agadir via Foum el Hassan over Merkala to Tindouf, then down via Bir Mogrein, Atar and eventually Dakar. The Atlantic Route we know today wasn’t an option for the French back then as the Spanish colony of Rio de Oro. – today’s Western Sahara – was in the way (left). 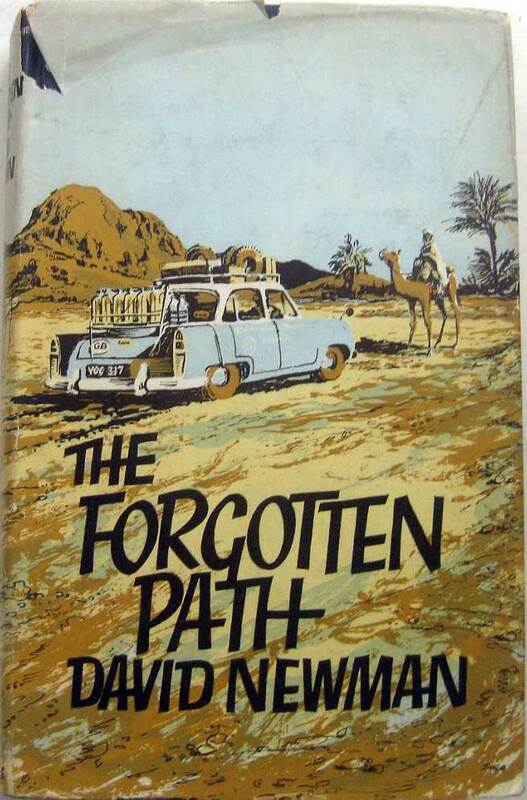 It was the N1 inland highway which David Newman took in his Ford Zephyr in the late Fifties, vividly described in The Forgotten Path, a somewhat unhinged account of his drive to Nigeria. He’d tried to go via Foum el Hassan and the Merkala tower, but to his fury was turned back as the area was harbouring the FLN who were battling the French in Algeria at the time. The Tour de Merkala became a battleground again a few years later during the so-called 1963 War of the Sands between newly independent Morocco and Algeria. 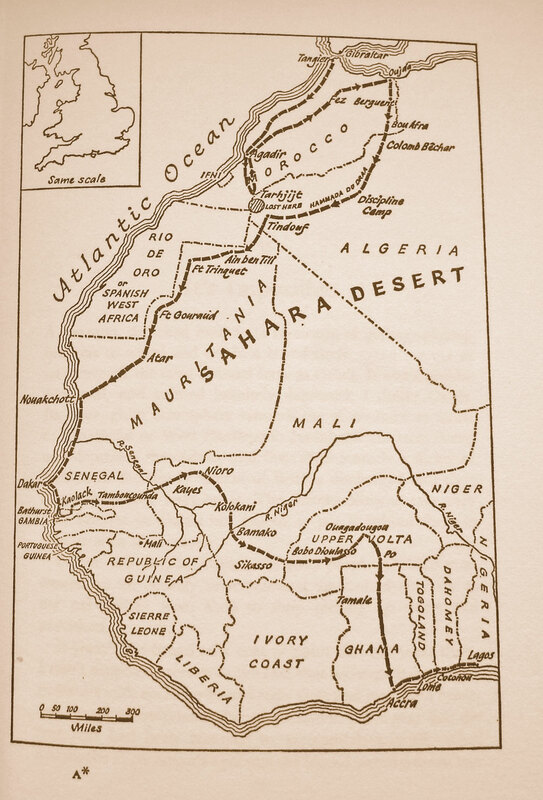 No fixed border line across the barren desert had been thought necessary between the two nations until valuable minerals were discovered (you’ll see no border defined on the late 1940s Michelin 153 at the top of the page). For some reason Algeria attempted to annexe the village of Iche near Figuig, as well as a creek called Tindoub and the nearby well of Hassi Beida, some 35km south of Mhamid. The Moroccans responded by trouncing the Algerians, so establishing an enmity that fed into the Polisario war a decade or so later and which remains entrenched today with closed borders. You can still see the Hassi Beida bump in the border today. Getting back to Merkala’s prominence on maps. Perhaps it’s just an anomaly not unlike Hassi bel Guebbour in Algeria. Looks like an important place on the map but once you get there it’s nothing but a checkpoint at an albeit strategic crossroads with a couple of chip-omlette cafes (left). 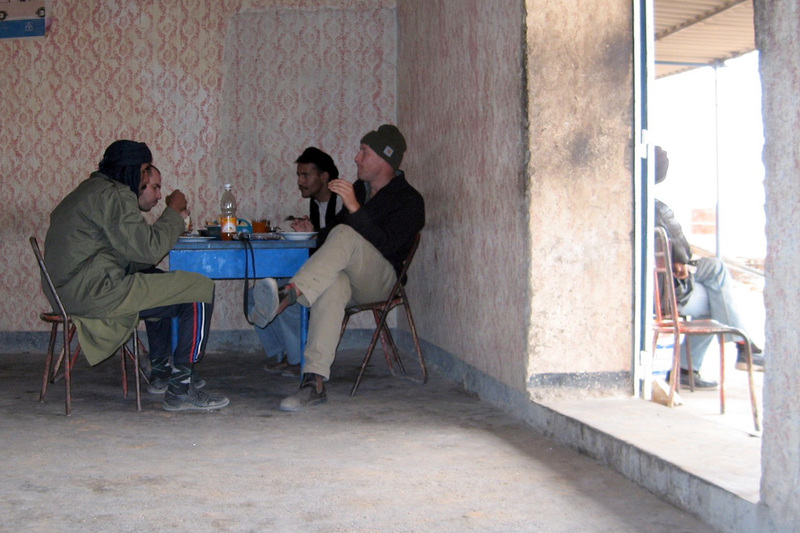 This entry was posted in Desert Babbles (blog), Maps, Morocco Overland, Uncategorized and tagged saharyro, Tour de Merkala, Yves Rhomer on August 21, 2016 by Chris S.